Porsche seems to be staying busy in 2019. 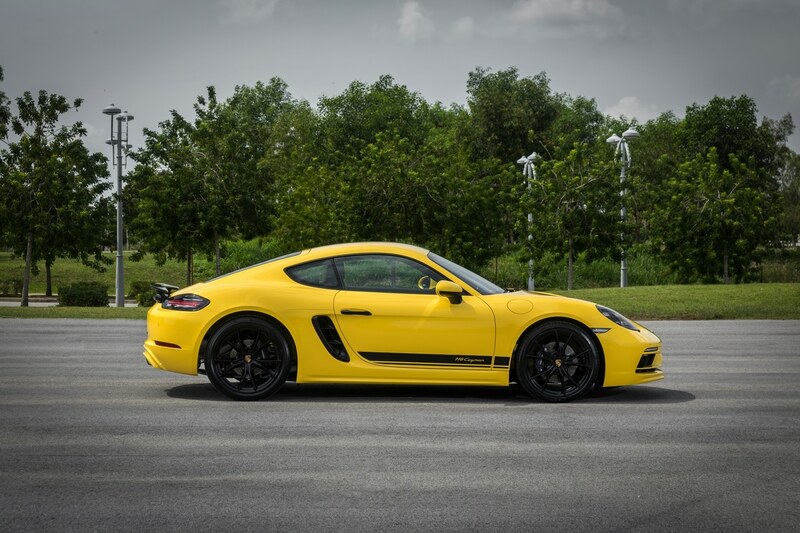 Earlier this year, the luxury car brand introduced two variations to the Porsche 718 Cayman series with the Boxster T and Cayman T with touring capabilities. 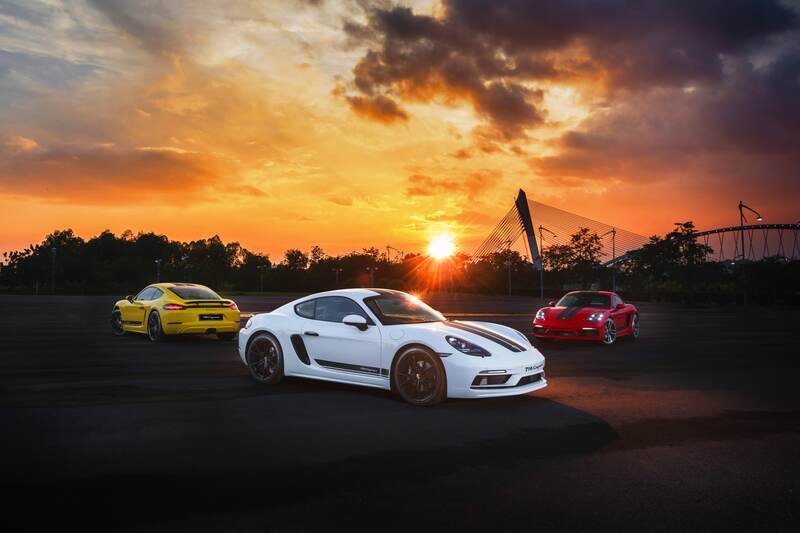 This time around, it brings forth a new addition to the Cayman family through its performance upgrades known as the 718 Cayman SportsDesign series, all thanks to Sime Darby Auto Performance (SDAP). 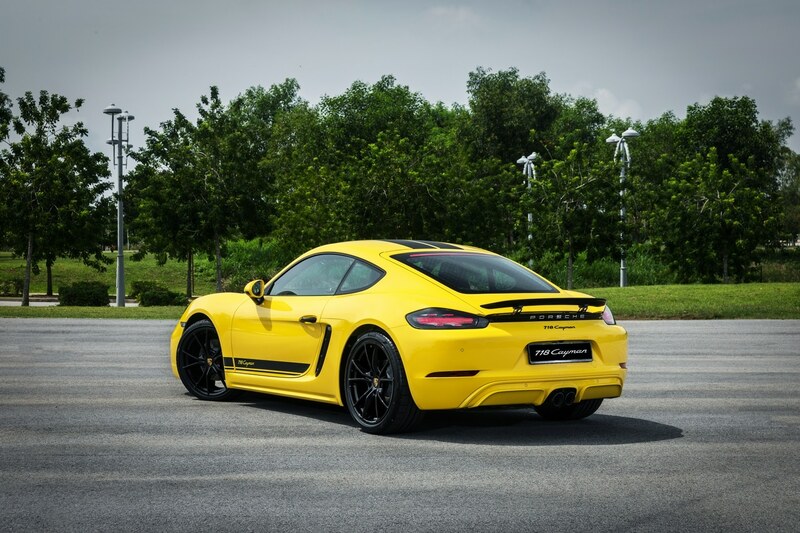 The all-new Porsche 718 Cayman will also be highly exclusive with only 15 units available in Malaysia and spread across three distinct colours. There will only be five units available in each colour, making it that much more exclusive. 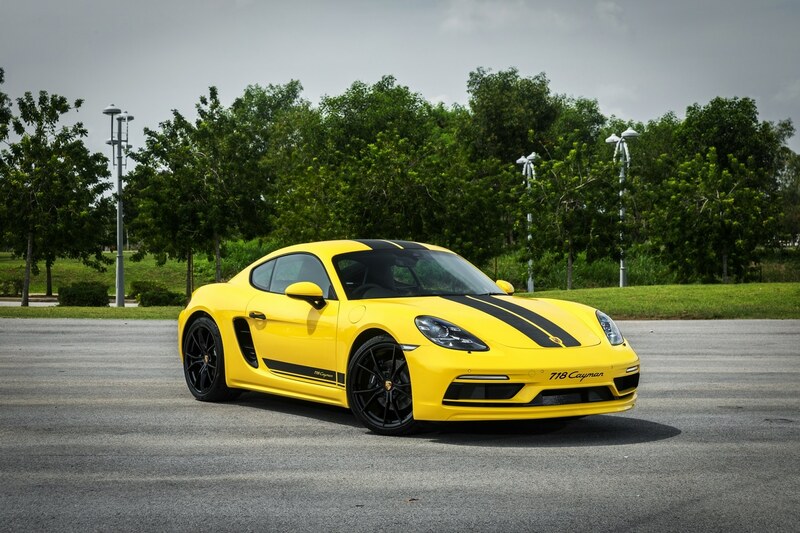 To usher in its arrival, Porsche is also throwing in a competitive price package for interested buyers as well as an extensive list of options one can include into upgrading the Porsche 718 Cayman. While the base framework of the Porsche 718 Cayman stays the same, it does come with a few obvious upgrades in its visual aesthetics. The subtle carbon fibre design is found on all three colours via racing strips straight down the middle as well as on the skirts of the car. The SportsDesign Package also comes with a unique front end as well as a newly designed front spoiler and rear apron. The SportsDesign Series comes with a unique front end lip. There is also a new rear apron. To further enhance its sporty appearance, the Porsche 718 Cayman comes with contrasting black accents on its door handles alongside centrally positioned black tailpipes. Its LED headlights also include the Porsche Dynamic Light System Plus (PDLS+) to optimise visibility without causing distress to other road drivers. The rear headlights carry a three-dimensional design, incorporating four-spot brake lights. 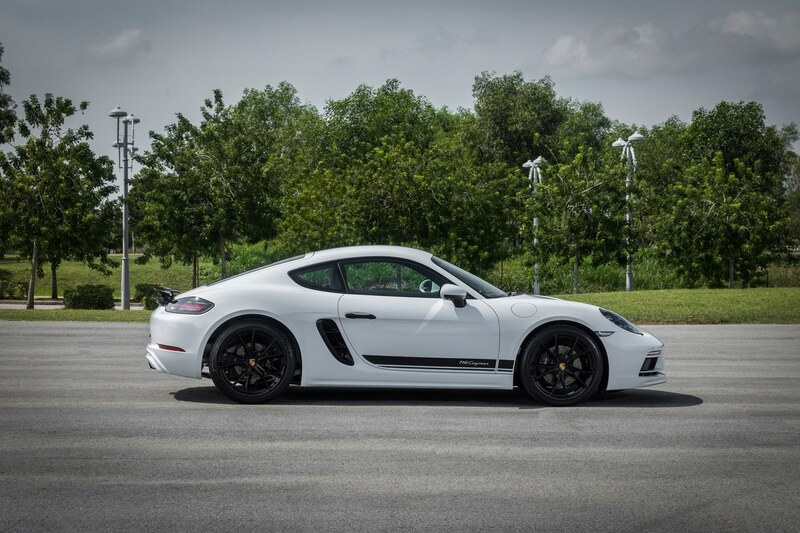 The Porsche 718 Cayman also rolls up with 20-inch wheels available in either the Carrera S or Carrera Sports Wheel design, completing its look overall. At the heart of the car lies a 2.0-litre turbocharged flat-four engine, capable of producing 300hp and 380Nm of torque. 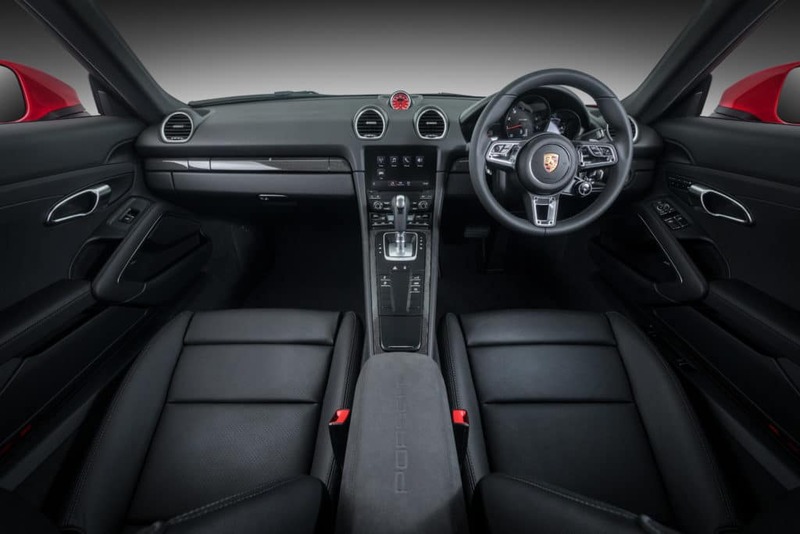 It also utilises a seven-speed PDK dual-clutch transmission, which allows the car to go from 0-100kph in just 4.7 seconds and upwards of 275kph. The Porsche Active Suspension Management (PASM) is also fitted as a standard, lowering the car by 10mm for greater agility. On the inside, the carbon fibre trim continues on from the exterior. This includes the dashboard and door panels while the centre armrest is wrapped in suede Alcantara leather. A Sports Chrono package is available, which includes a sportier chassis tuning as well as a drive mode dial on the steering. There is also a Sport Response button at the centre of the dial, which readies the engine and transmission for the fastest possible performance. 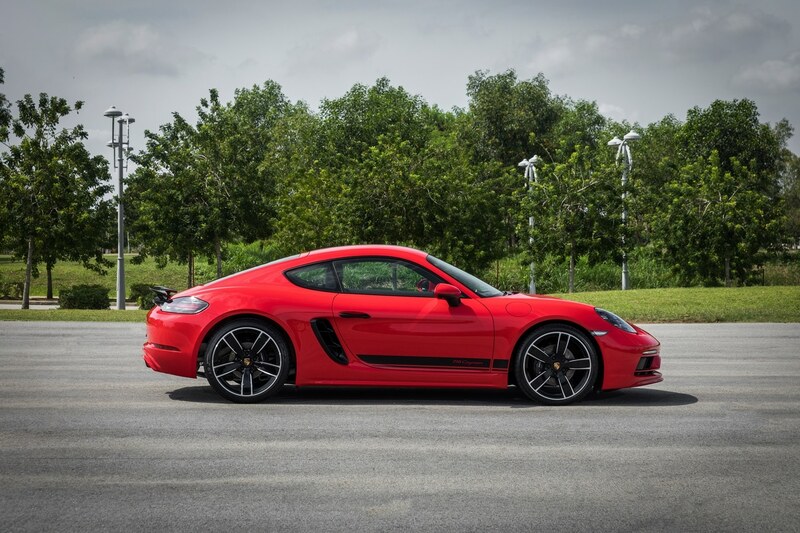 The Porsche 718 Cayman SportsDesign series starts off at RM625,000 with a four-year warranty as well as a free maintenance package. It will be available for viewing across all Porsche Centres nationwide, with two more popping up in the near future.